We often say “if only there would be more time in a day”. Twenty-four hours in a day is not enough to complete everything planned. We have one simple life hack to share with you – online shopping. Shopping for girls clothing online is a convenient way to purchase unique items that may not be available in stores. You can shop for your little princess wearing pajamas at 12 am. Online shopping not only allows you to shop from a larger selection from all over the world but also saves a lot of time. You can compare prices and features in a matter of minutes. On top of that, online shopping usually results in less money spent, because you are saving a trip to a mall, as well as eliminating any impulse purchases and eating on a food court. Make sure the size you choose is correct. Most kids online stores have a comprehensive size guide that can help you choose the right fit for your little one. Be sure that you measure your girl each time before making any purchase. Kids grow fast, that’s why do not assume that you can buy your daughter the same size in two weeks. If you do not have a chance to take measurements, you can simply use a piece of clothing that fits her well. Read Shipping and Return Policy carefully. When shopping for girls clothing online, sometimes a purchased item might not fit in the desired way, and you need to return or exchange it. Be sure to read and understand the details before paying. Most online stores have some kind of return policy, so do not worry if you have ordered something that does not fit perfectly, you will have some flexibility. Ask your little for her opinion before making a purchase. It is especially true when it comes to buying more expensive girls dresses online. If you are buying a flower girl dress online, it is very important to ensure that your daughter likes it. If she does not, she will act out on a wedding day causing stress to a bride. That’s why show her a few different dresses and let her choose which one her heart desires. Check fabrics to ensure it suits your needs. Depending on what season you are shopping for, checking an item’s composition is a key. Again if you are buying a flower girl dresses online, you want to ensure that fabrics of the dress you like are suitable for the season of a wedding you are going to attend. A flower girl dress made of lace and tulle would not be warm enough for a winter wedding, but taffeta would be! No matter what type of style your little has, shopping for girls clothing online will save time and money in the long run. It can also be a fun time spent together. 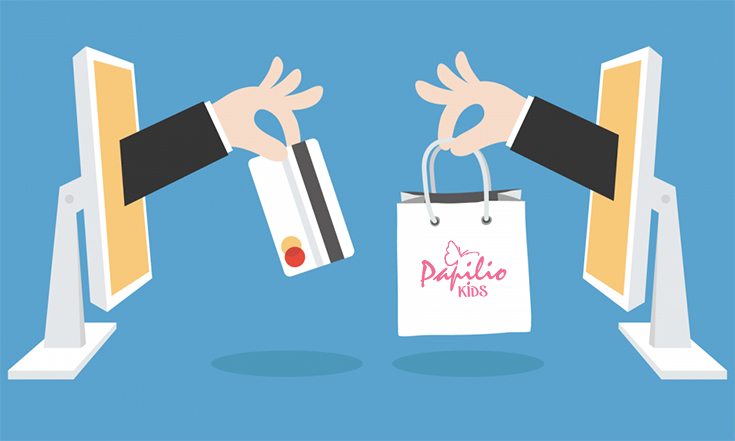 Papilio Kids online boutique features a large selection of day dresses, flower girl dresses, school outfits, and coordinated separates to suit every little fashionista in training. With a lot of options for every event, style, and age – you are bound to find a unique outfit that your little girl will adore!